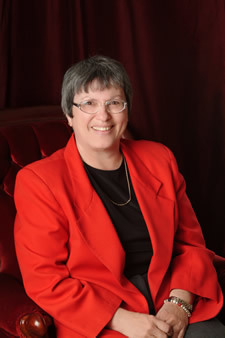 Ina Kay Zimmerman is a graduate of the University of Kansas School of Law. She has been in private practice in Johnson County since 1983, and is currently engaged in an elder and disabilities law practice. She also offers private fiduciary services, serving as guardian or agent for those who have no others available for this role. She utilizes a case management approach to legal and personal issues facing her aging clients and their families. A member of the Kansas Bar Association and the National Academy of Elder Law Attorneys, she also serves on the Board of Directors for the Foundation on Aging and the Advisory Council for Cross-Lines Cooperative Council. Her volunteer work on the Kansas Bar Association Elder Law Hotline is of great satisfaction to her, and she is a frequent speaker in the community on elder law topics. As an elder law attorney, Ina Kay has nurtured a passion and developed a commitment to insuring quality of life to older adults. She discovered that in today's society, our older citizens often need more assistance than over-stressed, scattered families can provide. Her response to these concerns was creating Daughters & Company® in 1995.